The degree of the cousin relationship (e.g. 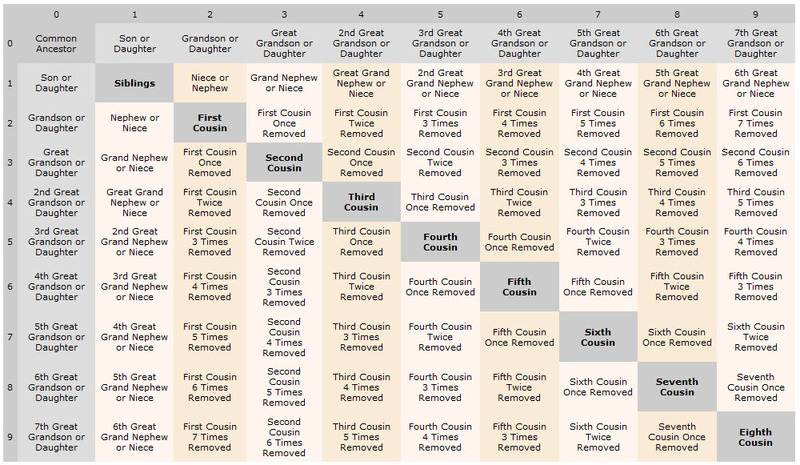 First Cousin, Fourth Cousin in the examples above) is determined by the cousin that is closest in relationship to (fewest generations below) the Most Recent Common Ancestor (MRCA) of the two cousins. You can learn even more about cousins from Wikipedia.